Hua Hin is the site of the Klai Kangwon Palace of Thailand’s royal family, which should already give you a sense of what to expect from this marvelous resort town in Siam. “Klai Kangwon”, after all, means “Far From Worries”, and one certainly does feel far from worries when surrounded by the verdant scenery and turquoise waters of this beautiful getaway location. Nature parades its best at Hua Hin in a way many a tourist (or even a local) will appreciate. Not only do you get the stunning length of Hua Hin Beach in the city, but a bevy of other natural wonders that shall captivate you with their beauty. The 162-metre Flint Mountain overlooks the entirety of the city and provides hikers a perfect tower. The magnificent tiers of Namtok Pa La-u—11 of them in total—are nearby and often filled with the musical sound of birdsong and the visual treat of butterflies. The Sam Roi Yot National Park is within traveling distance of the city as well, and boasts even more beaches as well as caves and greenery galore for the intrepid explorer and nature-lover. But Hua Hin’s natural beauty is all the more stunning for its manmade embellishments. The lovely Thai huts and bungalows where some tourists opt to stay right next to the surf, for instance, only enhance the atmosphere of tropical beach living. 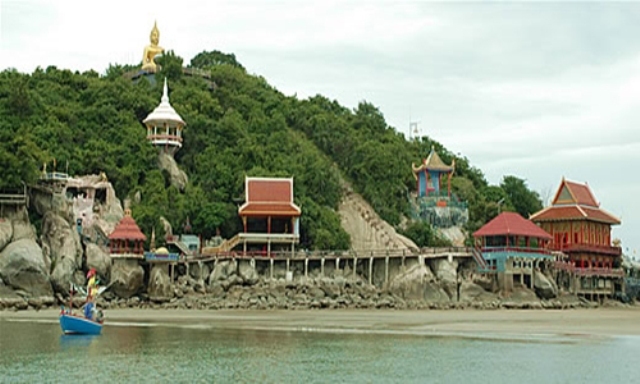 The temples of the hill of Khao Takiab only make the beach more spiritually engaging. And all the other structures, like the golf clubs and courses and the royal palace itself, simply add to this lovely coastal paradise’s glamour and glitter. Hua Hin is truly a paradise fit for kings and queens. Come have a taste of what a royally pleasurable vacation might be like in this gorgeous resort town in coastal Thailand. With a nation that’s 90 percent Buddhist, it’s no big surprise that their religious beliefs and spiritual views can be seen on most of their famous attractions. 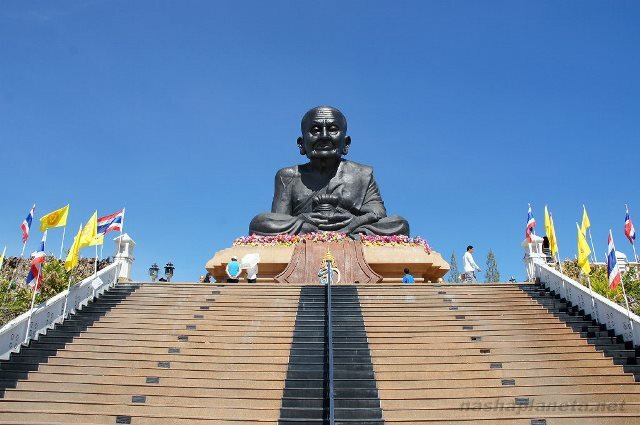 The Wat Huay Mongkol, roughly 10 kilometers West of Hua Hin, clearly demonstrates the Thai people’s respect for and strong faith in their religion. 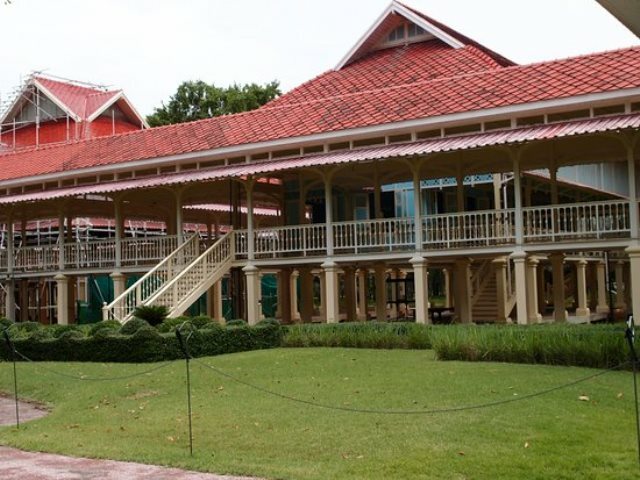 Perhaps it was inevitable that after His Royal Highness Prince Krom Phra Naresworarit built a group of palaces called Sukaves beside the beach of Hua Hin, other members of the Royal Family also built palaces in the area. Prince Krom Phra Naresworarit was the first ever member of the Royal Family to build a palace in Hua Hin, a district of the Prachuap Khiri Khan province roughly 285 kilometers South of Bangkok. And when the village became a popular beach resort with the nobility, King Rama VII also built another palace, the Wang Klai Kang Won Palace and made Hua Hin the Royal Family’s official summer retreat. Not all lovers of the beach love water adventures. Most of the people who go to Hua Hin, in fact, are people whose definition of entertainment includes a good book that they can read all day while sipping fresh fruit juices and lounging on a deck by the beach. 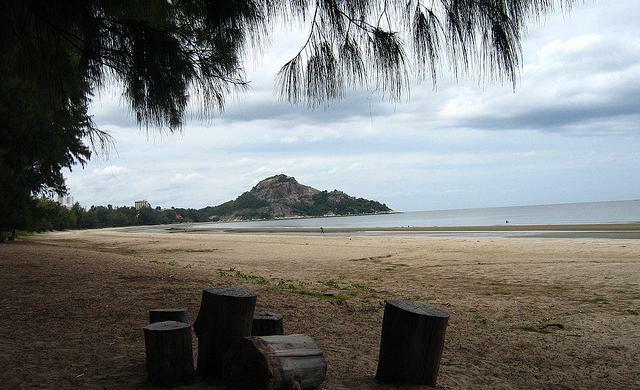 And the beach of Hua Hin truly offers a peaceful relaxation for its visitors, in that sense. 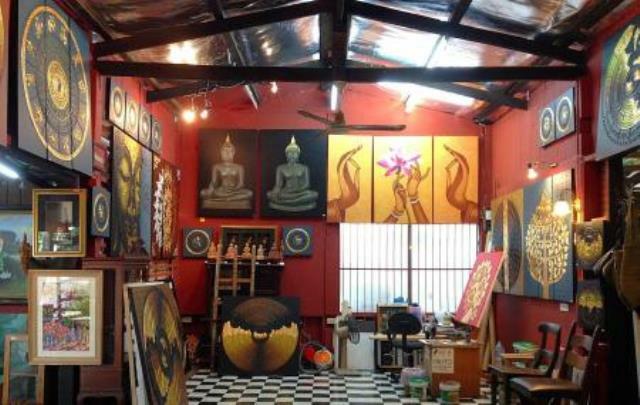 There is an array of the quiet kind of entertainment that you can find at Hua Hin and its surroundings, and if you love arts, you’ll find that a visit to the Hua Hin Arts and Crafts Centre is a must. Originally established to be the retreat destination of the army soldiers of Thailand and its veterans, the Suan Son Pradiphat Beach belongs to the Army Welfare Office. The beach is located at Kilometer Marker Number 241 about 8 kilometers South of Hua Hin via Highway Number 4, and the beach stretches to about 3 kilometers of the sandy coast. Although the visitors of Khao Tao are often just tourists of its neighboring beaches, this sleepy fishing village South of Hua Hin and Cha-Am can rival the most popular beaches in the area in terms of tranquility and attractions available in and around its own beachfronts. Muay Thai in Hua Hin/Cha-Am has a huge following. It is after all, the country’s national sport. 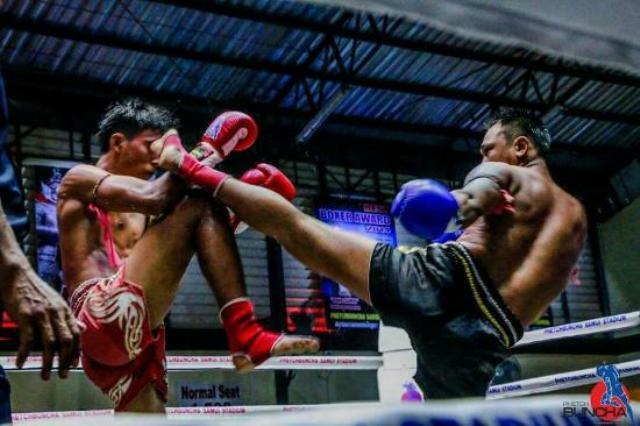 And if you want to learn Muay Thai or watch a match while you’re having your vacation, it is possible to do all that even in a small town like Hua Hin and Cha-Am.